It’s hard to escape the incredible view of the Ochils when attending an Alloa game. 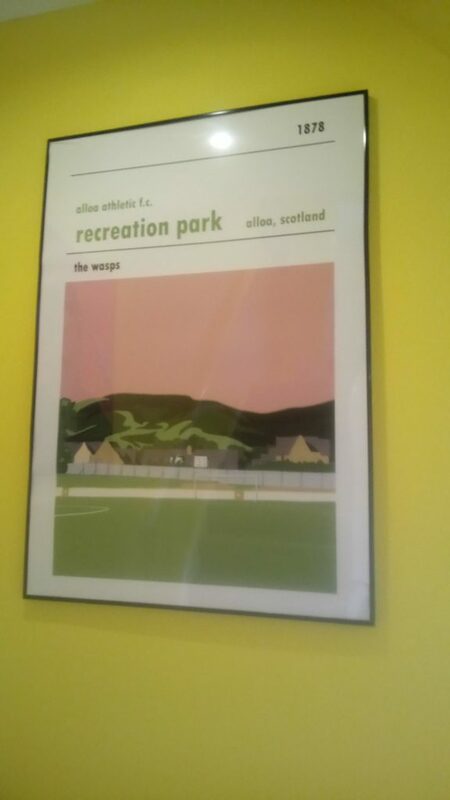 This picture of a 70x100cm Recreation Park print was kindly sent in by Ground-Hopper and blogger The Fitba Nomad. If you don’t follow him on Twitter already I fully encourage you to do so. You can also visit his Ground hopping blog right here. A 70cm x 100cm Recreation Park framed print.